Life is lived to its fullest in the Florida Keys. Just one look at all our festivals throughout the year will show you how much we love to have a good time and celebrate in a wide variety of ways. Whether you’re new here, just visiting or have been a long-time resident, to experience the fun and exciting which is Key West, you won’t want to miss the Annual Key Lime Festival, coming up June 30th– July 4th, 2018. As a region, the Florida Keys have long been a place to cultivate freedom and the right to express our freedom in unique ways. The Key Lime Festival is the perfect way to get your 4th of July celebration started and enjoy “America’s favorite citrus” too. As the home of the Key Lime pie, we’re ready to kick off the holiday weekend with some unforgettable fun. The Key Lime Drop -Pies will fall from the sky outside the Key West Lighthouse. If’ you’ve never seen a gliding Key Lime pie before, now’s your chance. 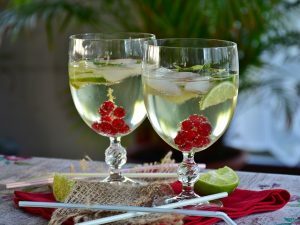 Key Lime Cocktail Sip & Stroll- Vote for your favorite Key Lime cocktail. Key Lime Pie Hop- Taste the culinary sensations of incredible Key Lime pies from local Key West shops; you haven’t had Key Lime pie until you’ve had it in Key West! Key Lime Rum & Distillery Tour- Yes, you can enjoy Key Lime infused rum, the possibilities of this incredible citrus are almost endless. Key Lime Scavenger Hunt- Discover Key Limes around unique and historic Key West landmarks, a great challenge with lots of fun for everyone. 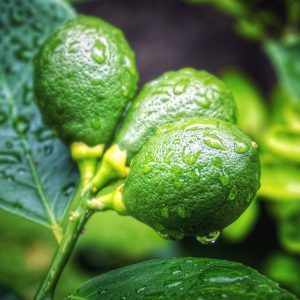 Key Lime Cooking- Enjoy the tastes and learn to make your own Key Lime inspired culinary sensations- space is limited for this one, so get your ticket soon. Key Lime Pie Eating Contest- It wouldn’t be a food festival without a pie-eating contest! Who will be the first to chow down on a 9” Key Lime pie? Better be there to find out! Picnic & Fireworks on the 4th of July- The best kind of finale for the Key Lime, community fun and games, food and drink, music and fireworks- all in one! It’s all about “Love & Limes” and the Key Lime Festival in Key West, I hope you can join in the fun at this unique Florida Keys community event. When you are ready to experience life in the Florida Keys year-round, or want to buy or sell a home in the Key West area, please contact me, Jimmy Lane, for all of your real estate needs.